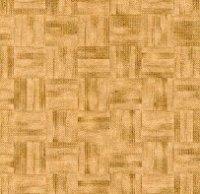 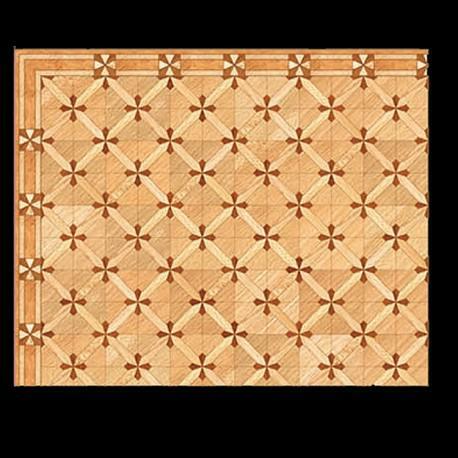 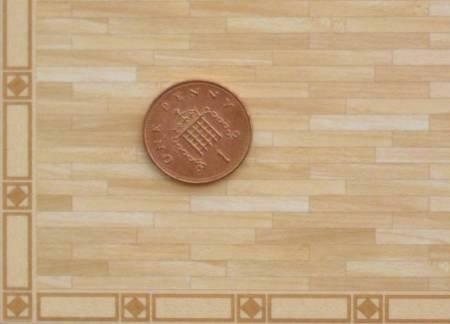 1/24th scale wooden parquet floor and border in a geometric criss cross block mosaic pattern known as Versailles. 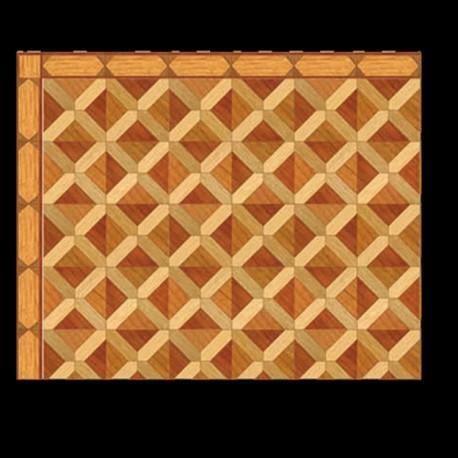 This pattern has an added star or cross at the intersecctions. 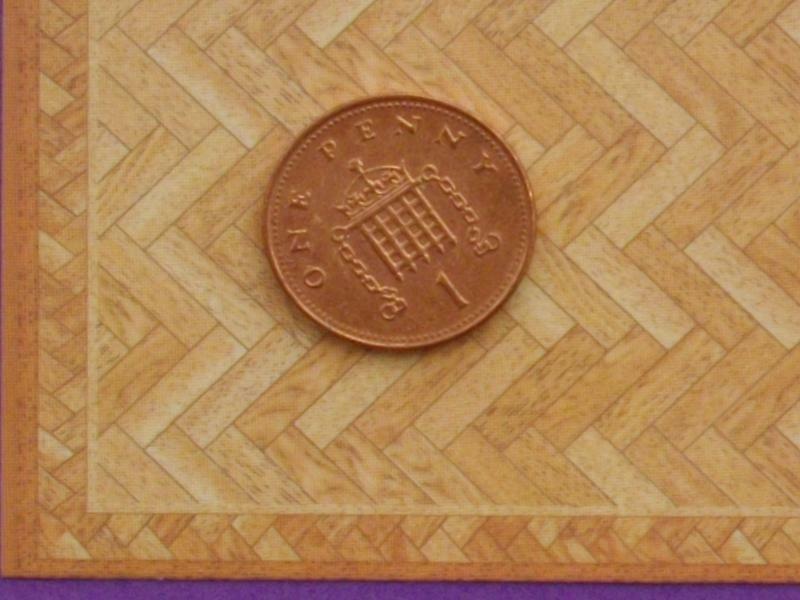 There is border which continues around the edge.